Applications are invited from suitably qualified candidates for admission into the following programmes which will be offered by Open and Distance Learning mode at the University of Abuja (UNIABUJA) for the 2017/2018 academic session. UNIABUJA Distance Learning Admission Requirements. 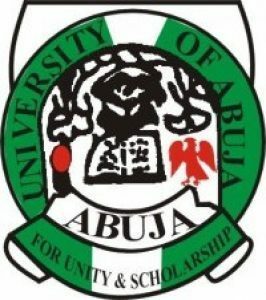 How to Obtain UNIABUJA Distance Learning Form. The application fee is Twelve Thousand Naira (N12,000.00) only. If you haven’t applied, the first thing undergraduate studies applicant need to do is to make a choice on the programme of study. To do this, it’s best for you to examine the programme of interest. This will enable you to know about the course, what you will achieve in the course, and more importantly at this stage – the requirements for the course. This will let you know if you’re qualified.It is a simple process to apply at UniAbuja CDL&CE, and you’ll get an initial decision in few days. The application can be online or by filling the print version.In case you have network challenges or other forms of challenges and you wish to apply, you can download the printable version of the application form. Print, fill and submit in person at UniAbuja Distance Learning Office in Area 3. You will pay on Remita for the application while at the office or choose to pay at the bank. All applicants are required to have a functional e-mail for the purpose of this application through which information can be sent. The Centre also requires an applicant to have a functional telephone number to which text messages (SMS) could be sent. Applicants are expected to check their e-mail and messages boxes from time to time for information and update regarding their applications. On no account should an applicant pay or give cash to any individual for the purpose of buying form or processing admission into the university. Beware of fraud, beware of those who claim to be agents or admission consultants, the University neither acts by proxy nor on proxy. In case you need help, come directly to the Help Desk, UniAbuja Centre at Area 3, Garki, Abuja or Call 0703 299 3729, 0809 180 0007 for live support.